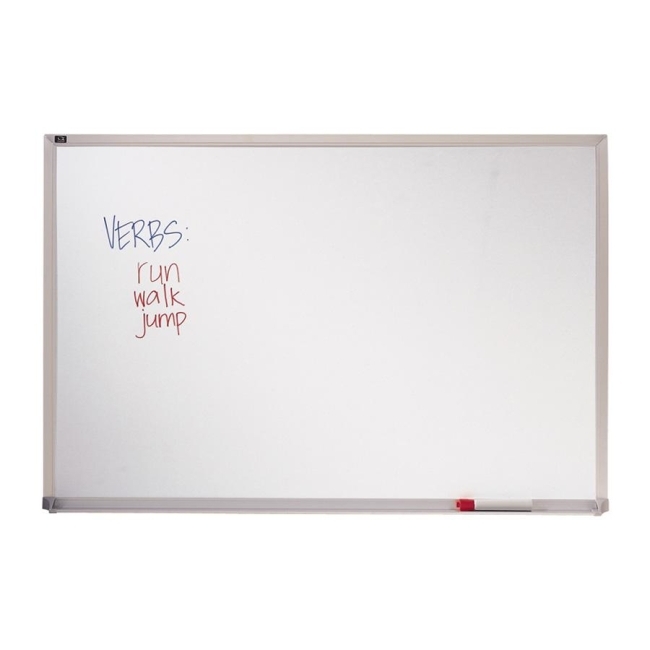 Melamine whiteboard offers a smooth, reusable writing surface in low-use active learning environments. Anodized aluminum frame has a satin finish. All four corners are precision-mitered for extra strength. Full-length marker rail has protective plastic endcaps for easy access to markers and eraser. Whiteboard includes hanging hardware.